Official poster for the Die Hard fan club. Hero cop Bruce Willis stars as Officer John McClain in the first flick of the Die Hard Movies. Some believe it to be the best film, according to certain movies reviews, in the Die Hard series. 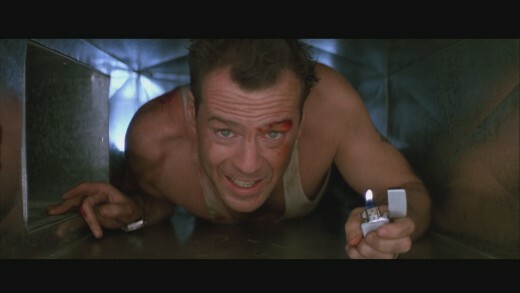 I would personally choose Die Hard With A Vengeance as my personal favorite. Bruce Willis is a New York City police officer who flies to Los Angeles to visit his wife and children for Christmas. He is taken by limo from the airport to Nakatomi Towers where he meets up with his wife at the Christmas office party. Not too long after his arrival, the building has been fully taken over by terrorists. They move into positions swiftly and take the Christmas party hostage, killing all of the security in the process. Bruce Willis luckily was hiding out in the bathroom and utilized his police techniques to elude capture. 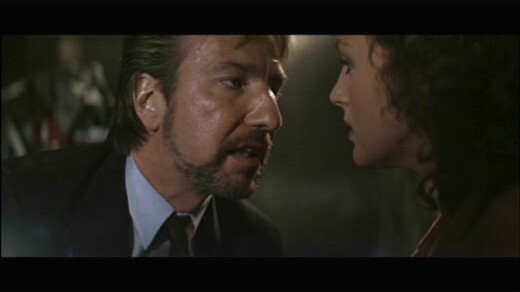 The terrorists are led by Hans Gruber who is after 640 Million dollars in bonds that Mr Tekata, CEO of Nakatomi Towers, has locked up in his vault. Mr Tekata is soon killed in his office for not divulging the codes to the vault. Since the vault is heavily protected, Hans and the gang are left to open the vault for themselves which will take some time to crack. When Bruce utilizes his Police intelligence by pulling the fire alarm on the 32nd floor, things really begin to get exciting. Hans springs into action by alerting the police that it was only a false alarm. However, Hans knew the alarm was pulled on the 32nd floor and that places Bruce in immediate danger. They send a terrorist to the 32nd floor to check it out and Bruce ends up killing him and sending him down the elevator shaft in the process. When Bruce alerts police dispatch through a private walkie talkie frequency, an LA policeman is alerted to check out the area. When a dead body lands on his car upon his arival, the rest of the cavalry shows up. FBI, Swat, and local police swarm the area. The local police try to penetrate the area but to no avail. Hans puts up an exceptional defense effort against the LAPD taking out much of their elite forces. More shooting between Bruce, the terrorists, and the cops ensues until finally it ends up one on one between Bruce and Hans. When Bruce throws Hans off of the building he becomes a hero that saves the day. The scene where John McClane makes one of the famous quotes. 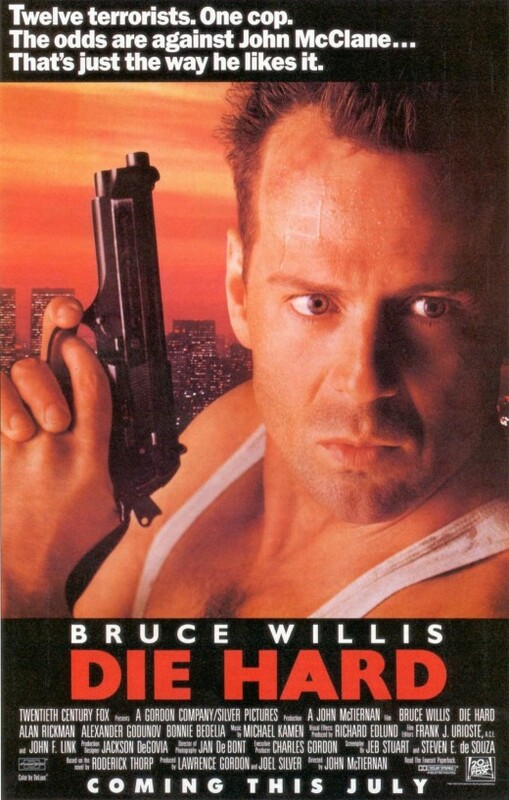 A superior action flick that set the course for many more Die Hard Movies. 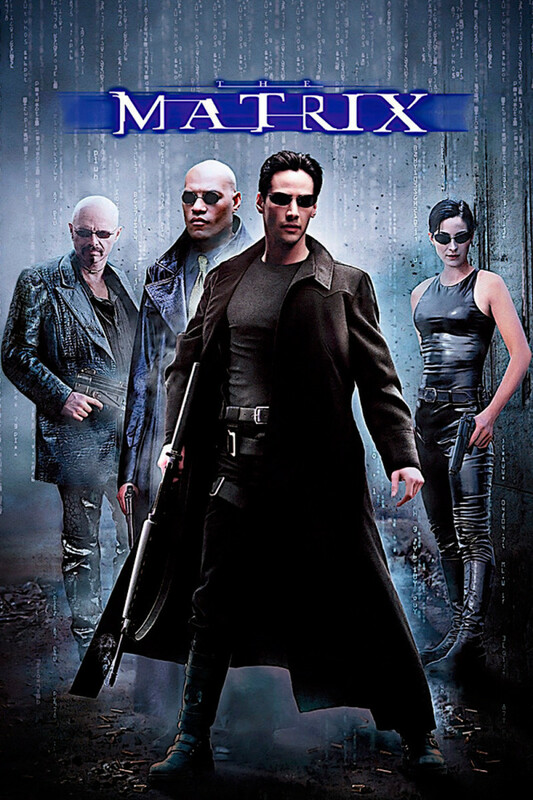 It was a great script that demonstrated Bruce Willis’ awesome acting ability. He became an action hero overnight as we all used to know him as the sweet talker in moonlighting. 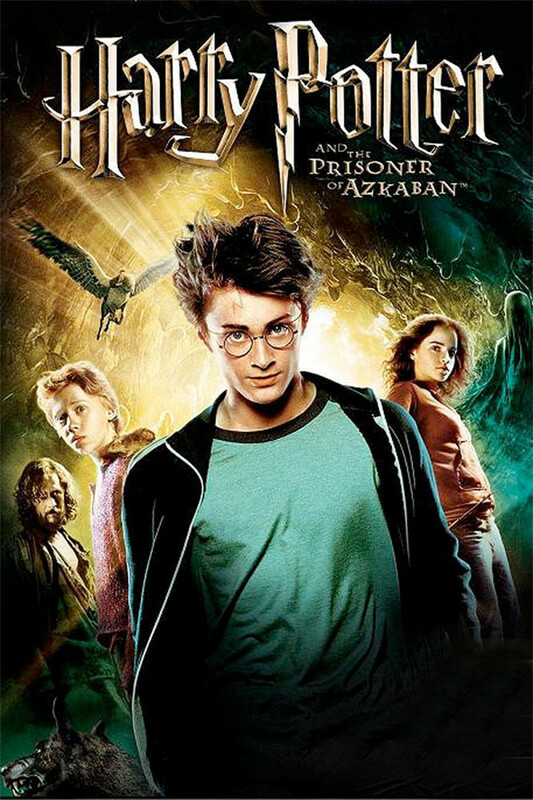 The movie kept you glued from beginning to end. This film is very suspenseful and kept me guessing as to how Bruce would save the day and defeat all of those terrorists. Definitely a roller coaster thrill ride from start to finish. I very much enjoyed the comedy aspects of it as well. Many famous movie quotes have come from the Die Hard series, and it all started with the original film. Bruce Willis (The Fifth Element, The Sixth Sense, Hart's War) - Lt John McClane - After starring in 5 installments of the Die Hard Series, Bruce is in production for a 6th version set to release in 2015. Obtained a star on the famed Hollywood walk of fame in 2006. Reginald VelJohnson (Family Matters TV series, Ghostbusters) - Sgt Al Powell - Best know for his role as the lovable Carl Winslow on the hit show Family Matters. Bonnie Bedelia (Presumed Innocent, Die Hard 2) - Holly Gennaro McClane - She has acted in over 70 roles on film and none more memorable then her role within the Die Hard Movies. Alan Rickman (Snow Cake, Galaxy Quest) - Hans Gruber - Alan Rickman is an actor, producer, writer, director, and worked on soundtracks. You name it he has probably done it.